We are pleased to announce that Sean Cubbin is our latest winner of £500 worth of lifestyle vouchers following his visit to the Discount VW Audi Centre in Hoylake, Merseyside. Sean was selected at random from the many motorists who used a Motor Ombudsman-accredited business during the last quarter of 2017. 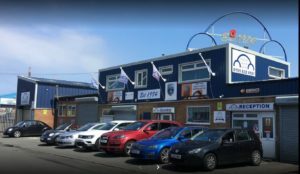 After having his Audi serviced at the garage on Carsthorne Road, Mr Cubbin completed The Motor Ombudsman’s Service and Repair Code survey and rated the garage on aspects such as the booking process, the quality of work and whether they would recommend the business to others. To enter the draw, and to be in with the chance of winning next time around, look out for the blue and white Motor Ombudsman sticker on your invoice and then search for the business that you have used on our Garage Finder. You will then be able to click on the ‘Rate this garage’ button and complete an online review of the work and service that you received. The next quarterly prize draw will take place in April 2018.